A simple brand communicates honesty, intuitiveness and transparency. By giving consistently clean messages about who they are and what they do, businesses can create an effortlessly enjoyable experience for all their customers. The three videos below all integrate simplicity deep into their fabric, so stories can be told more readily and leads wooed more consistently. The simplest of ideas are often the most powerful. This brilliant animation uses only a few colours and a single extended metaphor to get into the head of the audience and convince them to visit CMO.com. A great script, clever visuals and just a touch of humour make for the perfect recipe. When you've got an incredible story behind your brand, it makes sense to play up to it. 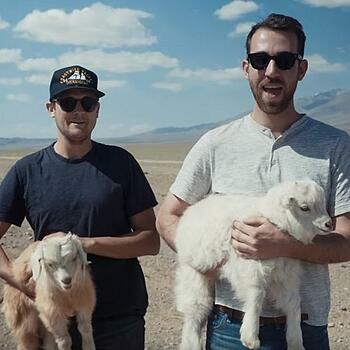 This video brings out the humour and honesty in how two friends travelled to Mongolia and created a fair, sustainable cashmere company. We love how the snappy pace keeps everything fresh. This approach wouldn't work for many car brands, but it does for Dacia. Nevermind showing the product itself — here you're encouraged to consider what cars are actually for and what you want from one. It's a smart bit of branding perfectly pitched to the target buyer.